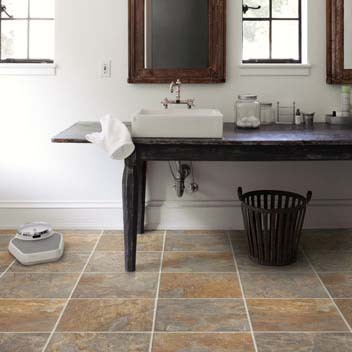 Mannington resilient floors offer a wide range of styles and colors, easy maintenance, and a price point for every budget. Our award-winning designs provide the most beautiful, natural looks you can find – from elegant slates and marbles to rustic wide-plank woods. These easy care floors fight off stains and spills despite years of busy family traffic.